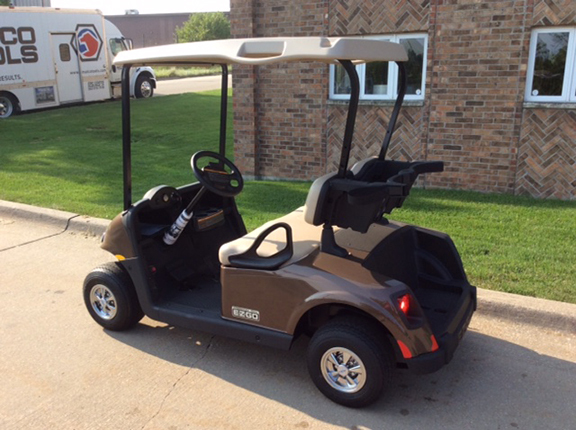 This gas gold car with an almond metallic body and Craguar chrome wheel covers has a sharp look. 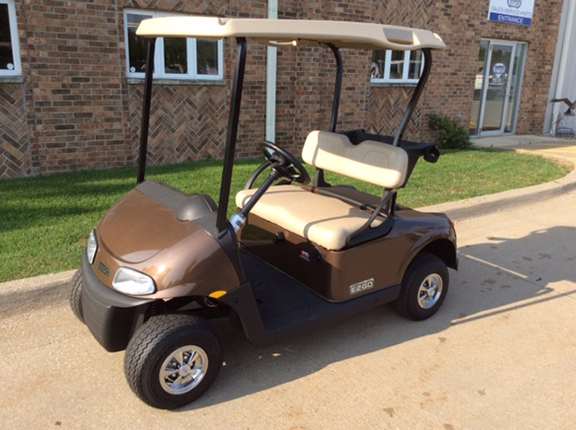 Comes with a clear, folding windshield, lights, horn and fuel guage. 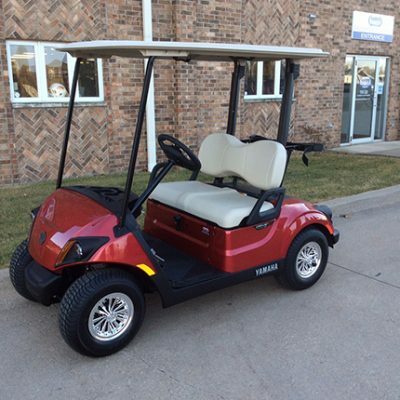 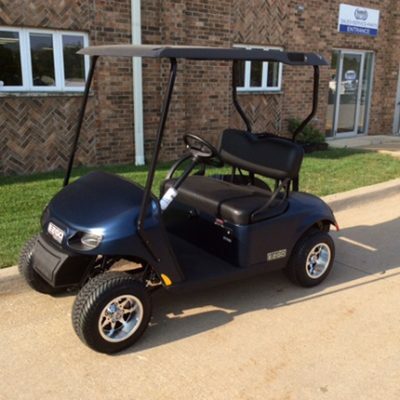 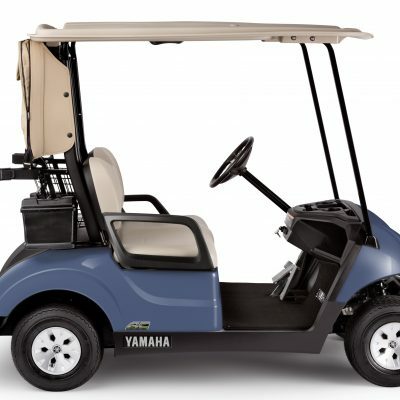 A great ride to check out at Harris Golf Cars!